The conservative watchdog group Judicial Watch released on Wednesday 1,184 pages of State Department records that include 29 previously undisclosed emails from Hillary Clinton's private server. 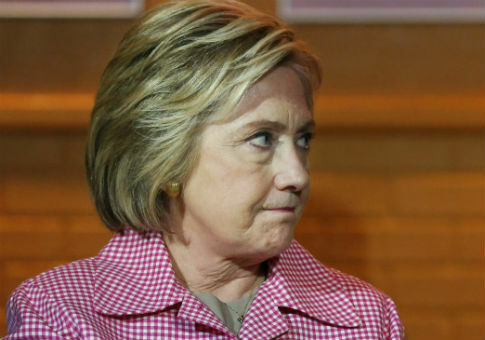 The new release brings the total number of Clinton emails not included in the 55,000 pages she initially turned over to the State Department to at least 288, Judicial Watch noted in a press release. Clinton has previously claimed the 55,000 pages contained all the government emails from her tenure at the department that she was aware of. Several of the messages contained classified information that was sent over unsecured email accounts, according to Judicial Watch. The emails were obtained through a Freedom of Information Act lawsuit. The State Department had not responded to a March 2015 FOIA request by Judicial Watch for "all emails of official State Department business received or sent by [Clinton's] former Deputy Chief of Staff Huma Abedin from Jan. 1, 2009 through Feb. 1, 2013 using a non-‘state.gov' email address." A federal court subsequently ordered the State Department to respond to the request. Among the newly released emails is a message from February 2010 in which Jake Sullivan, then-deputy chief of staff to Clinton, sent both Clinton and Abedin classified material. The email contained information about "former GTMO [Guantanamo Bay] detainee Binyam Mohamed." An email in April 2010 between Clinton and confidante Sidney Blumenthal contained now classified information regarding the change of government in the Kyrgyz Republic. Two emails reveal exchanges with Doug Band, a former top adviser to former President Bill Clinton. In March 2010, Band forwarded Abedin a request for help from Philip Levine, presumably the mayor of Miami Beach who has been a longtime Clinton fundraiser. Critics have accused Clinton of creating a pay-to-play system when she was secretary of state under which she would grant favors for political influence. In February 2010, Capricia Marshall, an ambassador and Clinton friend, asked Band and Abedin to help plan Bill and Hillary Clinton's funeral arrangements. Other emails reveal tensions between Clinton's chief of staff at the State Department, Cheryl Mills, and Abedin. "I don't want to get cross wise with cdm [Cheryl Mills] on anything Haiti related," Abedin wrote to Band. "HAVE YOU MET CHERYL MILLS? [Emphasis in original] you have no idea." The emails also show unsuccessful efforts to arrange a phone call between Clinton and Russian Foreign Minister Sergey Lavrov. Judicial Watch President Tom Fitton castigated Clinton upon the organization's document release. "These emails are yet more evidence of Hillary Clinton's casual and repeated violations of laws relating to the handling of classified information," he said. "The Justice Department should finally begin an independent investigation into the Clinton email matter." This entry was posted in National Security and tagged Cheryl Mills, Clinton Email Scandal, Hillary Clinton, Huma Abedin, Judicial Watch, State Department. Bookmark the permalink.